Life Is Perfect – that’s some statement, especially for a new band. Still, Ireland’s Only Rivals have every reason to be optimistic. Since 2014 they’ve gained major traction with their debut EP Details and high profile tours with the likes of All Time Low and New Found Glory, putting among the cream of the crop for melodic alt-rock. Now, with their debut full-length, the opportunity has arisen for them to be held in the same high regard as the genre’s heavyweights. And while that may seem like a lost cause – considering how pretty much every band of their ilk has been tipped for exactly the same thing at some point – Life Is Perfect suggests that Only Rivals have plenty more to come rather than just a flash in the pan. While their base sound is that of the much-ploughed furrow of melodic Britrock, Life Is Perfect sees pinches of emo and grunge sprinkled into the mix, with the results being subtle differences in a well-known sound, but crucially, they’re noticeable differences. Opener Dive In sounds like an edgier take on much-missed Britrock almost-weres Francesqa, while there’s a real anthemic punch to the mid-tempo Eventide. Stephen Arkins has a vocal style that sets him apart from the genre’s other frontmen – whereas earnestness and vulnerability seem like the way to go for many, there’s a real grit to his voice that makes the likes of Replace // Exchange positively ooze with passion. They’re simple things, but they really make Only Rivals stand out. You’ll have undoubtedly heard the bare bones of these songs before, but them played with the band’s concoction of sounds really galvanises them in a way that truly needed to be done. Too Many Churches unfurls itself as a swirling epic while Sing and Drive are the sort of uncomplicated anthems that massive careers are built on. Throughout Life Is Perfect, the ten tracks positively radiate confidence and steadfastness, with plenty of insatiable hooks along the way. The band hardly put a foot wrong musically on Life Is Perfect, but, despite their best efforts, the sense of familiarity can be unavoidable at points. While compared to the melodic rock titans of the modern day, the band manage to carve their own little niche in the scene for them to slot into, but there are moments where the sounds of very clear influences manage to worm themselves through, closer There Are Rules especially, which has very distinct nods to Brand New. If that’s the only problem to be found though, Life Is Perfect is an album that you can’t be too unhappy with. It acts as an ideal nexus between ’90s alt-rock and the modern day, something that plenty of bands have attempted to do in the past, but few have hit the mark with the same level of style and gumption as this. And while it does wear its influences a bit too prominently on its sleeve, it’s about as good as a debut can get. If they carry on like this, that title will be a reality sooner than later. 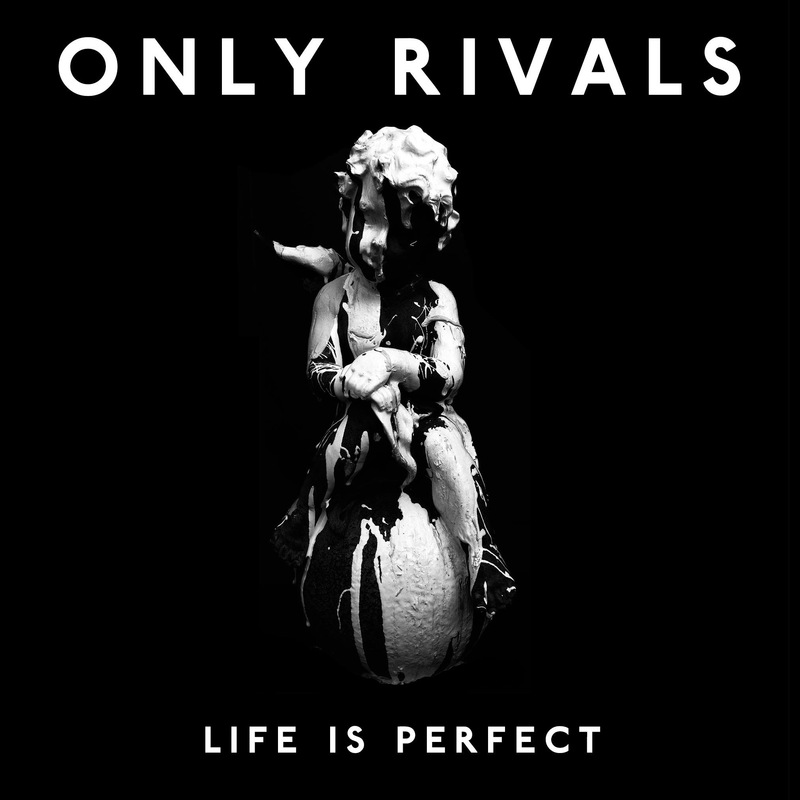 ‘Life Is Perfect’ by Only Rivals is released on 18th Sptember on SO Recordings.